The stars are definitely in alignment today as we present a special JBB EXCLUSIVE Interview with the legendary musical genius Bob Gaudio on his birthday! Jersey Boys Blog: Bob, Congratulations on JERSEY BOYS’ 10-year milestone on Broadway! Thinking back to the very first couple of times you saw JB at La Jolla Playhouse in 2004, what were your initial thoughts about the production? 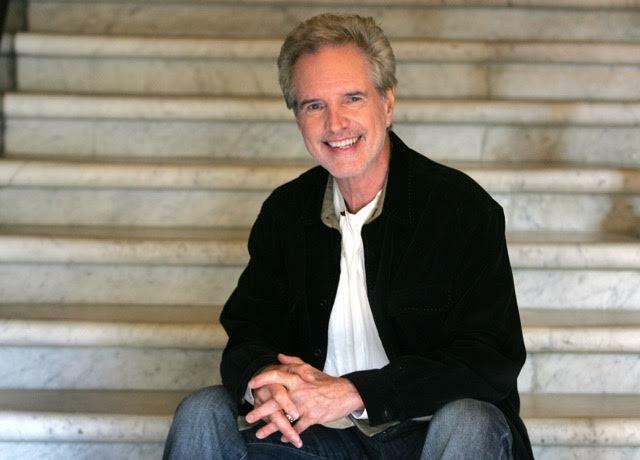 Bob Gaudio: Overwhelmed by the magic of the environment Des created. Just about the perfect balance of comedy, tragedy, and music. Some people thought Sherry kept them waiting too long–42 min or so, but I thought hey, if she’s not worth the wait, find another girl! When she does come out, it’s WOW!! JBB: This month marks 40 years since the awesome “Who Loves You” brought The Four Seasons back to the Top 5 on the charts after an eight-year hiatus. You’ve mentioned before that this song is “a chant with harmony.” What’s the story behind and the inspiration for “Who Loves You”? BG: Eight years for starters. The chorus was a piano lick I just couldn’t stop playing. Hypnotic monotony I’d call it. I decided to try it with vocals. Hypnotic and chanting. Lots of reverb/echo. I thought it was daring to fade in voices and was cautioned not to, because radio would talk over it. I heard one DJ do that, but he sneezed. In fact, the quiet made people listen. It was louder than a drum solo. JBB: Although The Four Seasons obviously have millions of female fans, there really seems to be a major connection among guys who grew up listening to the hits. I’ve also noticed that young guys who have discovered the Seasons’ music today really click with it as well. What’s the story behind the big connection with guys? Considering you were a young man when you were writing the songs, did you intentionally write & sing songs to connect with guys who may be going through similar kinds of struggles (with lyrics such as, “I’m going to make it, just wait and see…”)? BG: Can’t say I was smart enough to do that, intentionally. There’s nothing new here. I think every guy wants to be ‘a big man in town’ and every girl wants to be with ‘a big man in town.’ It’s the perfect storm. Impressing girls was more important than breakfast. Girls love someone trying to impress them. I suppose our music had a certain toughness that guys liked, but it had heart and passion. Everybody loves a tough guy with a heart and a touch of vulnerability. Works for both genders. JBB: “Can’t Take My Eyes Off You” plays on the jukebox in the poignant bar scene of “The Deer Hunter.” How was the song selected for the film and why? Were you involved in the filming? Have you ever met anyone that was in the scene, and did they relay any stories that you can share? BG: No, fortunately not. For the first time I was able to feel why our music could be used on the screen and maybe, just maybe, on the stage. Not being involved gave me an unbiased passion to pursue. Robert De Niro was in the film and graciously agreed to come to our opening. Otherwise, the song use in The Dear Hunter was likely director Michael Cimino’s choice. A good one at that. JBB: Besides so many great hits & albums as a performer, writer, and producer with the Seasons, you’ve had amazing success with other artists (such as Neil Diamond, Frank Sinatra, and “The Little Shop of Horrors” soundtrack, just to name a few). Out of all of your non-Four Seasons musical productions, is there one musical experience that you had that stands out to you and why? BG: Lots of them, but when pressed, I’d say producing You Don’t Bring Me Flowers, with Neil & Barbra. Face to face with just a piano and a great song! Hard to beat. Yes, I added strings later, but the magical live performance was the record. JBB: Jersey Boys just celebrated 10 years on Broadway! Besides entertainment and enjoyment, what do you want your audience to take away with them when they leave the theater? More than the rags to riches story, what can we all learn from your story? Is there a deeper theme that you want to share? BG: Nothing profound here—just highs and lows. That’s what the show’s about. New beginnings. I can’t remember anything of importance that didn’t seem impossible. Some, more than others. Sherry took 5 minutes and Jersey Boys took 7 years…passion always wins. People leaving Jersey Boys seem to float down the street. It’s a privilege to witness that. Thank you so much to Bob Gaudio for this awesome interview and a special shout-out to his daughter, Danielle Gaudio-Lalehzar for arranging it! “Passion always wins”. That sums it all up. Great questions and straightforward answers! I thoroughly enjoyed this. Thanks to the Jersey Boys Blog and Danielle Gaudio-Lalehzar for making it happen. Always nice to hear different things from Bob that you’ve never heard before. “WLY” has been my favorite all-time Seasons song since I first heard it on the “WLY” album. Initially my favorite song was “Bye Bye Baby”. I guess “BBB” would be my favorite early Seasons song from the 60’s and “WLY” would be my favorite from the 70’s. I think that “WLY” is always the best LIVE song of the night at a FV concert. The last comment about people leaving the theatre after seeing Jersey Boys was spot on. I certainly floated down the street! Great interview, Susie, with many new questions and answers. And yeah, the first time I saw “Jersey Boys”, I was one of those who was wondering when I’m gonna finally hear a Four Seasons song..or is this musical about the Silhouettes or the Penguins???? Great comments about WLY, which was sort of overshadowed back in 1975-6 when OWAN became such a blockbuster!! Very insightful interview! Great questions & thoughtful responses from Mr. Gaudio. Hope to see more like this on Jersey Boys Blog.